When’s the last time you’ve updated your apps? Your devices go with you everywhere, and there are tools out there that can streamline your efforts when it comes to going about daily life. From work tasks, to remembering a million different passwords, there are tools, apps, and extensions that can save you time, consolidate your efforts and revolutionize the way you go things done. Below is a spotlight on just a few of those tools. We at eGuide, use them all, and can attest to the power they hold. But with great power, comes great responsibility. Taking a moment to properly set up a new tool and also a new habit of using said tool, should be a conscious effort. If you have a project management tool that you already use, really consider the alternative before jumping ship. We find that reinventing the wheel is always tempting. If you think you could better benefit from spending some time cleaning up the systems you already have in place, do that instead. Does this sound like a normal interaction in your life? Wouldn’t it be great if there was an app that integrated with your calendar that would allow you to streamline your scheduling efforts? Well, guess what? There is. (Actually there’s a few of them, but this is our preferred). Setup your preference: Customize your Vyte Page the way you always wanted. Share your Vyte Page: Let others easily book you by simply sending them the URL of your vyte page. Get productive: both parties calendar’s will be updated when someone books you. Have you ever sent an email, knowing full well the likelihood of the person you are trying to correspond with is not going to reply to your questions, so you decide to flag the message, or make a calendar reminder to remember to follow up? What if there was a tool that would live in the tool bar of your email that would automatically remind you to follow up? That’s what Boomerang is all about! Want a cleaner inbox, but don't want to lose track of important messages? Boomerang allows you to take messages out of your inbox until you actually need them. Just click the Boomerang button when you have an email open, and choose when you need it again. Boomerang will archive your message. At the time you choose, we'll bring it back to your inbox, marked unread, starred or even at the top of your message list. We may sound like a broken record here, but we really love Trello that much. If this is your first time reading through us talking about the platform let me bring you up to speed. Enter Trello. Alright, yes, this is another technology tool, but it’s one that has the potential of un-cluttering your life. Bed Bath & Beyond, Gap, Express, Airlines — you name the company and more than likely they have a fairly aggressive email marketing strategy, some even sending out multiple offers a day. As email has gotten smarter, you are not able to sort out your promotions on Gmail and sort “focused” emails on Outlook, but Unroll.me is able to do one better. By connecting your email account to Unroll.me this web app will get to work, monitoring the emails that are hitting your inbox and flagging subscriptions. From there all you have to do is log into the site and manage your subscriptions. If the email is something you no longer wish to receive you can unsubscribe immediately from the app. Alternatively if it’s something like say, a Bed Bath & Beyond Coupon, you can choose to have it “Rolled Up” into a consolidated email that you will receive from Unroll.me each day. Anything Rolled Up will come through in a snap-shot email, allowing you to easily manage the offers you want to keep and ignore the ones you don’t. Every buzz, every ping, every notification you receive from an email is a distraction from what you are trying to get done. There’s been studies that our bodies are even taught to crave that notification. " Unroll.me allows you to manage the noice and reduce some of the clutter of you inbox, while still allowing you to get the emails you want. Let’s face it, we as a society are not putting the same attention into grammar that we were 20 years ago. With texts and shorthand becoming universally excepted, letting proper punctuation and spelling slip is apparent everywhere. If you are a Microsoft Office User, you may have become accustom to blue lines with grammar suggestions starting to appear along side the red ones for spelling. That’s great, but what about Facebook posts, or emails, or even something like this blog post here? 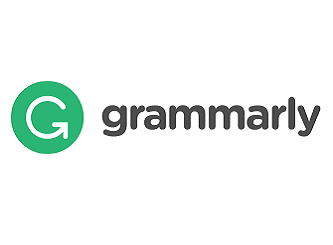 Grammarly is a web app, downloadable app for your PC or Mac, and also a chrome extension that allows you to take advanced spelling and grammar checking with you. It works in most text boxes that appear on your browser, ensuring that you are able to use the proper version of “there”, saving you the ridicule of your connections on social media. Grammarly also uses data analytics to give you a snapshot of your common errors, how many corrections it’s made for you over the course of a week, and some tips on what you could do to improve your skills. Using these tips will lead to you becoming a grammar all-star, being able to write with the best of grammar on any platform. Want to know how many clicks you’ve received on a particular link you’ve shared out on social media? Want to know if your boss opened that Google Document you shared with them over email? Bit.ly is a link-shortener that allow you to add the power of analytics to your links. A link-shortener is exactly what it sounds like. Sometimes you may have navigated yourself to a page that is buried deed within a website, having many navigation layers ahead of the page you are on. With a link-shortener you are able to copy that URL, paste it into the app, and generate a much more concise URL that you can even customize yourself. Not only does it shorten the link, but programs like Bit.ly give you a dashboard of the shorten links you’ve created tracking some useful analytics: How many times the link has been opened, geographic information about the people who opened it, and even what platforms the clicks are coming from. Bit.ly is a great way to also reduce the amount characters in a particular social media post, which can be super useful on Twitter. We know who you are, the people who keep all of your account passwords written on a piece of paper or in a notebook that is kept next to your desktop computer, or hung on your refrigerator. The page or pages yellowed with age, and most of the passwords some variation of the one that precedes it. This is not only a un-secure way of storing this information, it’s also not mobile, leaving you in the constant frustration of having to go through the “forgot my password” steps or unable to login to the account you are trying to access when you need to. LastPass is a web app, smart device app, and browser extension that makes storing and accessing passwords a breeze. Sure, Google Chrome and iCloud offer the ability to save passwords you are using to login to accounts with, but pulling up those passwords manually or sharing those out with other people can still be a daunting task. LastPass gives you a virtual library of your passwords, creating easy to find entries and a searchable database. Not only that, but each entry can be securely shared out with other people using their email address. You don’t even have to let them see the password if you prefer. Downloading the browser extension allows you to build your library of passwords as you login to different accounts, receiving a pop up with the option to save the password and website to LastPass. But the best thing of all, is that the same library that lives in the web app is automatically pushed down to your smart device, literally allowing you to take your entire password library with you where ever you go. LastPass does provide some enhanced security measures including encryption algorithms and two factor authentication. What does that mean? If someone compromises your last pass account they through your login information, you will get an alert with a code texted to your phone as a second step of the login process. Not only that, if they gain access into the platform from a backdoor, all of your passwords will look like a jumbled puzzle. While there is always a risk with keeping sensitive data on the cloud, it is a much safer alternative to keeping a list that someone could easily snap a picture of, basically handing over all of your personal information to them on a silver platter. Working on a professional team, we have all had times when money has come out of our own pockets to pay for something. Then we have to find the receipt(easier said than done), give it to our manager, who then gives it to the finance team, and the simple $5 we spent doesn’t get reimbursed for a month. Not only is this process time consuming, but it is difficult to keep track of. Especially in the start-up world where your project manager or CEO is the finance department and doesn’t have ample amount of time to go entirely through the reimbursement process. Expensify is a real time expense reimbursement application. With an automatic scan function, the application allows its users to simply input their receipts as soon as they receive them. No more getting tracked down by your project manager to turn in expenses and no more bothering the finance team to pay up! The admin title can be granted to whomever your team decides. So, keeping your reimbursements within the team is easy. Your manager already knows your expenses, so waiting in line for approval is kicked to the curb with this application. You can be on a lovely vacation in Prague while your manager is at business conference in Dallas, Texas and still receive immediate reimbursement. With any application, security is a big concern. Especially with an app like Expensify that deals with a large amounts of confidential information. No one wants to wake up one morning and realize their credit card information was stolen from application they use for work. Expensify prioritizes user security. The application uses bank level security to keep the user data safe and secure. As soon as any data is entered the application encrypts it. Furthermore, Expensify is held to the same standard as any other money transferring application like Paypal or Visa. For added protection, Expensify works with McAfee for daily probing and protection against hacker tactics. So, overall your data and the application is safe to use. Any application has its risks of hacking or mismanagement of data. However, Expensify arguably puts more security on their application than Uber does. So, if you trust Uber you should have no problems trusting Expensify. Have you received a wedding invitation, organization flyer, or instagram ad that was so well done you figured it probably cost a fortune? Did you want to make something similar, but not pay a designer a fortune to do so? Canva is a great and FREE tool for anyone trying to amp up their social media game or overall artistic lifestyle. Put simply, Canva is a design platform that allows a user to create social media content, posters, email headers, and much much more. As a user, you could be a degree holding graphic designer or an artistically challenged accountant and still end up with a masterpiece to boost your Instagram game. It’s pretty simple! When a user first logs on the page, they are met with a dashboard of what they want to make. For example, say you want to make a flyer for your upcoming network event. Merely click on the “Flyer” icon and Voila! You have yourself the beginning stages of a flyer! Once you’ve clicked on the icon of your choice, you can select a template on the left side of the screen to get started. Everything a user needs to create great content is free on Canva. However, they do offer some specialty templates and photos that a user can buy. It is obviously up to user discretion if they want to utilize that or not. Wait….that’s not the best part? The fact that Canva is free and incredibly easy to use are primary reasons to use the tool. However, one of the perks of Canva is the ability to create your own digital library of designs. Anything created on this application is automatically saved and free to reuse or edit. You can share your designs with others, have them share them with you, and collaborate with other on the same creation. It is a wonderful world of collaborators creations!! Newer PosteGuide Tech Allies Tops the List of IT Service Providers in Chicago!